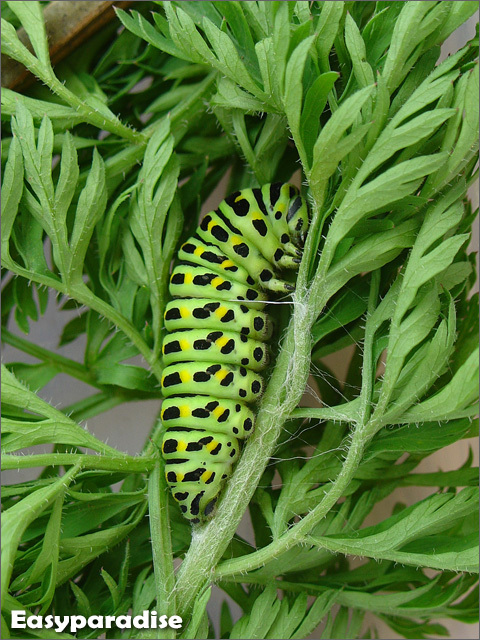 In the following days I found more caterpillars on carrots. This one is preparing for becoming a cocoon. But it failed at last. This is the only one that finished the transformation successfully on Oct 19. 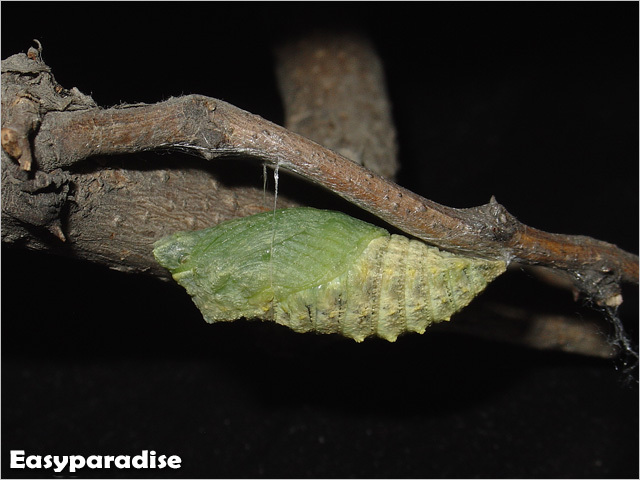 The cocoon is green at the begining moment. 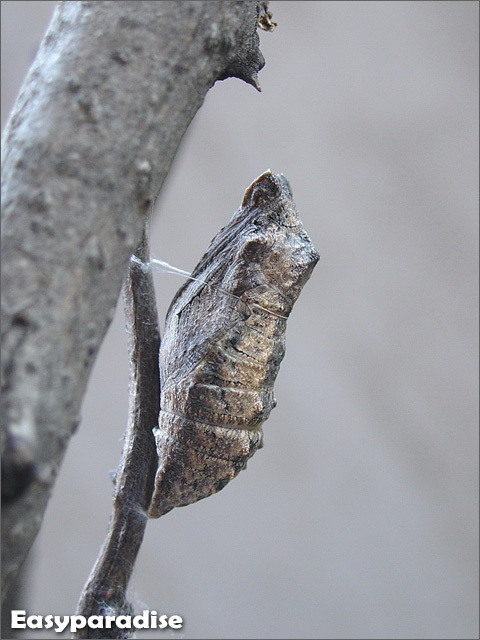 Three days later, the cocoon turned grey. The most horrible thing for a caterpillar is that the worm had been parasitized by some kind of tiny wasp, which lay eggs inside a caterpillar’s body. Larvae of the wasp will grow up inside the caterpillar. When they kill the caterpillar and eat up all its organs, they emerge to wasps and fly out, leaving an empty skin hanging on a branch. Fortunately, this one looks very healthy. It probably will emerge in spring. Hoping for the brilliant moment! What a fantastic caterpillar Mingfei. I do love the colours. I love this series and have scheduled one to for next week. 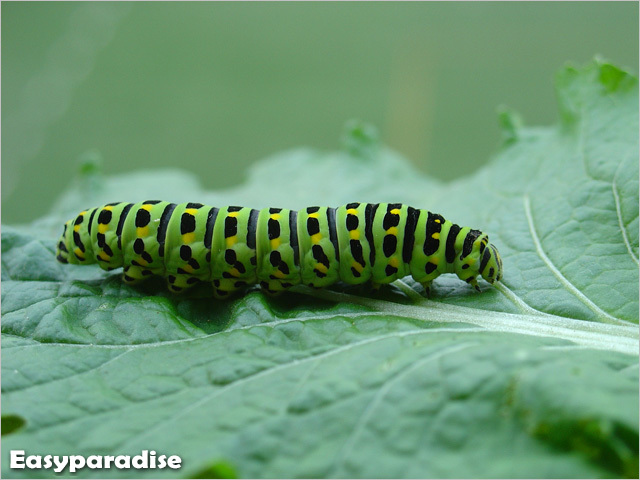 Beautiful caterpillar and great photos. I look forward to seeing the butterfly. Hello Nishant. My winter holiday has begun for about two weeks but during the time I was learning German cause I intend to study in Germany two years later. Now the German course comes to a pause and I will be free for about 2 weeks. But I'm not sure if I can update Easyparadise in the second week. 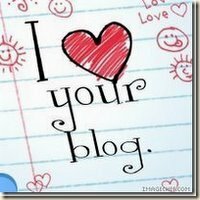 Bacause I cannot use the proxy in my home to sign in Blogger. Thanks for your caring my friend.